Carbon rims have become a viable option for high performance mountain bike wheels. Improvements in weight, width, strength, and stiffness are worthwhile advantages in the pursuit of speed. 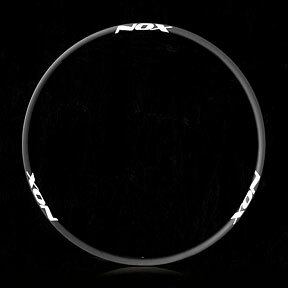 Nox Composites delivers the latest effort to maximize these characteristics at the most reasonable cost possible. The Teocalli 29 rim, for example, is only 385 grams but has an inner width of 26mm. To prevent damage due to rock strikes, the bead area is thicker, and reinforced with 3-K weave fiber to disperse stress. An offset spoke bed of 2.4 mm is featured to reduce overall wheel dish by nearly a third on most disc brake wheels, making the spokes a more equal tension. The spoke holes are also reinforced with 3-K weave to prevent cracking. In fact, pull-through tests reveal that the spokes break before the holes! 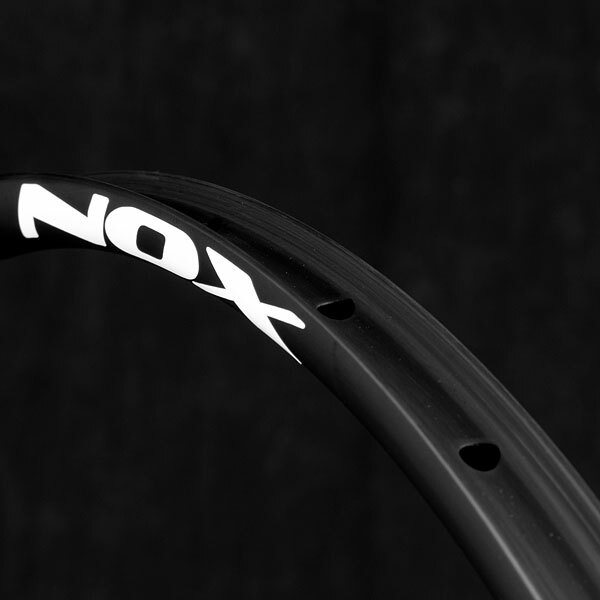 Nox Composites is a company that was founded by two engineers who ride, and they are committed to quality. All Nox rims have a 2 year warranty. ... Dave also provides that exceptional personal service you only dream of getting when making a big purchase. He personally calls you to verify important info before making the wheels. He takes extreme care in his work, and in providing you with exactly what you were looking for. Outstanding customer support!! !